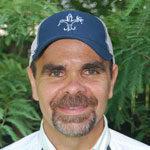 April Fool’s Day and social media go together like peaches and cream, so you have to definitely be vigilant and keep your guard up so you aren’t suckered into believing a tall tale. 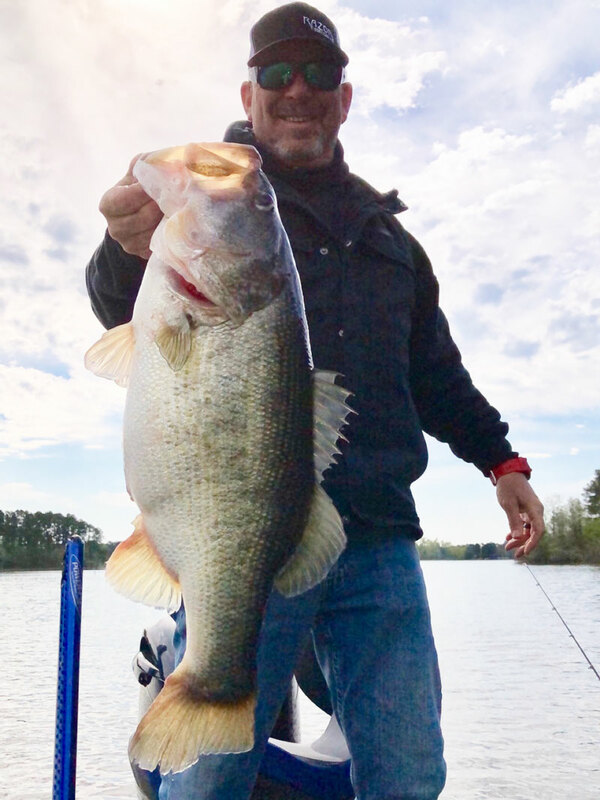 If you decide to post a story about a personal best bass that you caught on April 1 — say a 10.41-pounder from the south end of Toledo Bend — then you might expect your story to be met with some degree of skepticism. 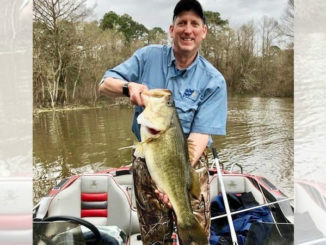 But that’s exactly what really happened to Craig Broussard, 57, of Fulshear, Texas, when his first-ever double-digit bass bit a wacky-rigged watermelon/purple flake 5-inch Senko on the Louisiana side of the reservoir about 10 a.m. Monday. 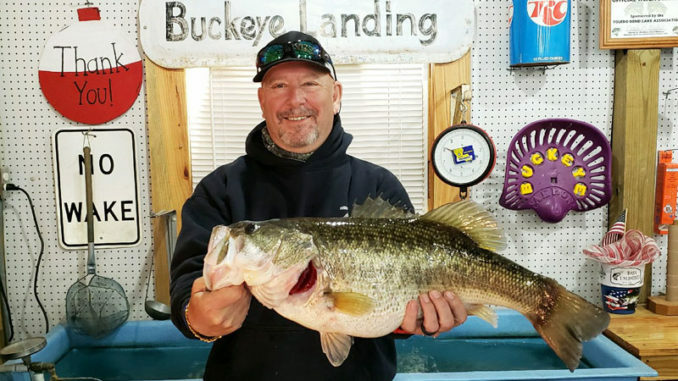 Craig Broussard, of Fulshear, Texas, had the last laugh when he reeled in this 10.41-pound largemouth bass on April Fool’s Day. 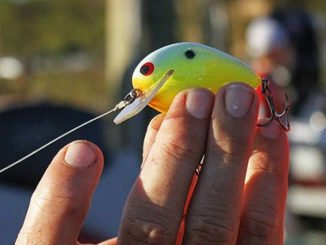 Broussard said he felt his lure get ‘heavy,’ and then reacted. 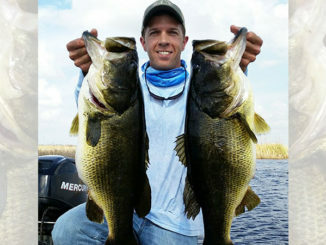 Broussard eventually headed to Buckeye Landing with his catch, where the 26-inch fish tipped certified scales at 10.41 pounds, easily qualifying him for entry into the Toledo Bend Lunker Bass Program, which awards anglers who return double-digit fish to the reservoir with a complimentary mount.